IBDC, this international professional-level competition event, sponsored by the Taiwan Ministry of Economic Affairs’ Department of Industrial Technology, has been driving the world’s innovative and fashionable designs every year. A total of more than 200 outstanding works from around the world are participating in the 21st International Bicycle Design Competition. The competition not only fosters new concepts and thinking models in terms of appearance, structure, and functions but also helps us understand the lifestyle and trends around the world, continuously injecting new life into traditional bicycle products. The awards of this year will be announced and presented at the award ceremony on March 22 (the first day of the 2017 IBDC). The greatest award goes to “Portni Urban Bike” designed by the Taiwan designers Hsu Yi-Fan and Chu Chun-Han., who will also receive a NT$350,000 prize. After the resolution by a panel of international reviewers. Portni Urban Bike aims to provide easy and convenient movement. It can prevent collisions with obstacles in narrow city streets, and the user can easily carry the bicycle up and down narrow staircases. In the award ceremony, the organizer will also display this year’s one of the winner, “FLY- the wood saddle” is assembled from two wings made of engineered wood. The material is made more durable by adding two layers of carbon fibre underneath the surface layer. As FLY is constructed of two independent wings it is able to follow the natural movement of a cyclist’s legs and hips. 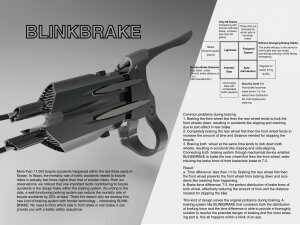 Special Award winner, Blinkbrake, which connects the front and rear brake systems with a mechanical linkage arrangement. Blinkbrake activates the rear brake first, and then it activates the front brake; the time difference is less than 0.1 second. This procedure prevents the locking of the front wheel that often causes accidents. Blinkbrake also reassigns the braking forces of the front and rear brakes to a ratio of 7:3, which is the perfect ratio for the braking forces of both wheels and effectively reduces the time and distance required to stop the bike. 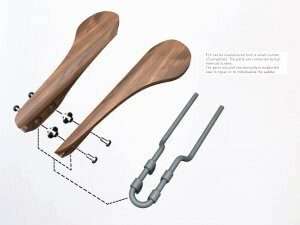 This design solves the existing braking issue without changing the individual’s riding habits. 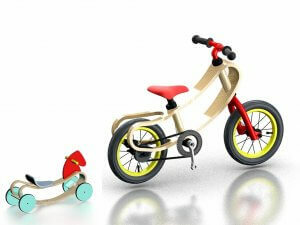 Another notable design is Multi-functional Learning Child Bike, which is suitable for children ages 1 to 7. 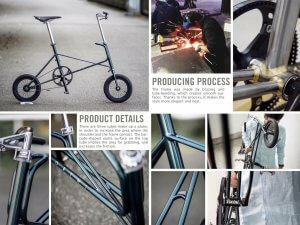 Through the change introduced by the way this new product is used, the designer hopes to bring new opportunity to traditional balance push-bike sales. This newly developed child bike has four varieties, each of which can be used for the whole kinesthetic learning process from the infant stage to the child stage. Meanwhile, Portni Urban Bike aims to provide easy and convenient movement. It can prevent collisions with obstacles in narrow city streets, and the user can easily carry the bicycle up and down narrow staircases. 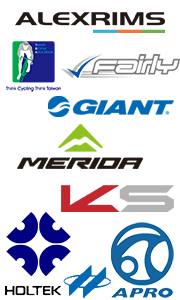 We welcome the bicycle designers to either adopt any of these innovative bicycles showcased in IBDC and convert them for mass production, or come up with new concepts inspired by these original ideas and create more unique bicycles.